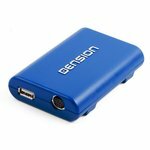 Dension Gateway 500 MOST adapter allows you to connect iPod/ iPhone and USB devices to car multimedia system based on MOST bus and control them by original radio control buttons. 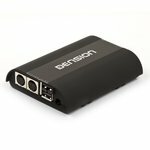 Dension Gateway 500S adapter is all-in-one interface allowing you to connect iPod/ iPhone/USB devices to car multimedia system and perform hands-free calling via Bluetooth. 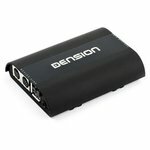 Fits Audi, BMW, Mercedes-Benz and Porsche. 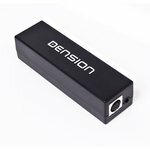 Dension Gateway 300 GW33SK1 adapter allows you to connect iPod, iPhone and USB storage devices to car multimedia system. 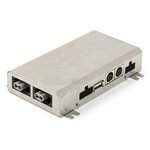 Fits Skoda models with Stream / Stream MP3 head units. 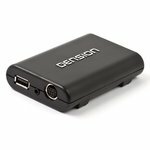 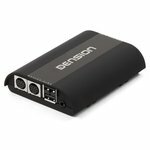 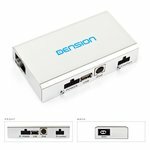 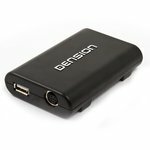 Dension Gateway Five adapter (GWF1PC1) allows you to connect iPod, iPhone, USB storage devices and mobile phones to multimedia system and control them via original buttons. 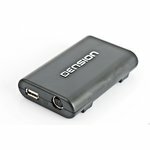 Dension Gateway Lite BT GBL3RE8 is used for iPod/iPhone, Smartphone, USB and AUX devices integration in Renault with non-text support VDO head units (ISO connector).